Honorine can’t remember anything from the time before Lord Vidalia brought her home with him to his country estate, but she knows that she’s fortunate to have found a home. Not all orphans are so lucky. Sure, the starching, dusting, and cleaning duties that fill her days as a maid aren’t intellectually stimulating, but she has Lord Vidalia’s library of curious books, and she has her mechanical inventions, and—until he left for boarding school after his father disappeared—she had her best friend Francis, heir to the Vidalia estate. It’s a perfectly fine life—that comes crashing to a halt one night when the mansion is invaded, and Honorine flees into the grounds to escape and plunges into an adventure she could never have imagined. The constellations we know—Orion, Andromeda, Canis Major—are alive, and they’re being hunted by a mysterious Mapmaker in a fantastic, steampunk flying ship. The constellations have their own fantastic, steampunk flying ship, and Honorine’s torn between the constellations—with whom she seems to have a real connection—and their hunters, who include her old friend Francis. As she’s pulled into the adventure, she realizes that the constellations may also be able to help her solve the mystery of her parents. 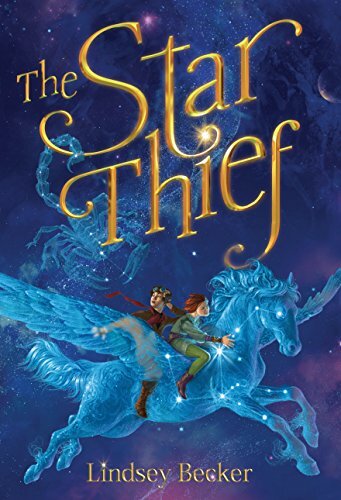 The Star Thief is a middle grades fantasy novel with a premise that any star-gazer would love, and it’s full of complicated alliances and even more complicated machinery. 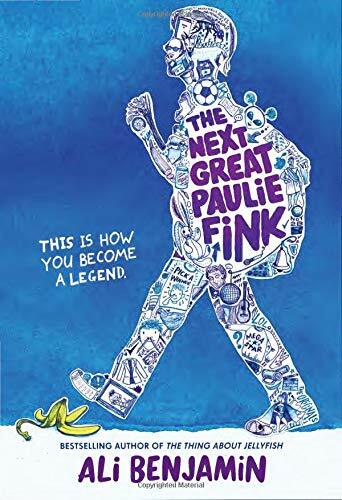 It’s a totally fun, action-packed adventure story—it’s so fun that it may not even bother you that the characters get short shrift in this story. (Even Honorine feels one-dimensional most of the time.) The constellations’ living ship sometimes feels like it has more personality than any of the creatures inhabiting it. (The ship is pretty amazing and imaginative, so that’s maybe less of an insult than it sounds like.) If you can coast along on the plot and fantastic descriptions, you’ll definitely enjoy the ride, but if you’re looking for something deeper from a book, this one is likely to disappoint. I like a fun read now and then and I enjoyed The Star Thief, but I couldn’t help wishing for the book it might have been. I think it would be fun to do as a readaloud when you’re studying constellations or as a pool or park readaloud on a lazy summer day when you just want something with lots of action to entertain everyone.